The cake is an easy and delicious recipe, one that will bring a smile to the face of your Valentine. This is a recipe that has been around for many years. I came across it again while browsing through some local Santa Cruz County cookbooks for a nice dessert for Valentine’s Day. I found the same recipe submitted by several local cooks such as Antoinette Knego, Ida Lomazzi, Jackie Minasian and Mary Galardeni. My own version of this recipe came from the “Favorite Recipes of California Winemakers” published in the 1960s by the Wine Advisory Board of California. Combine all ingredients. Mix well with electric beater at medium speed for 5 minutes. 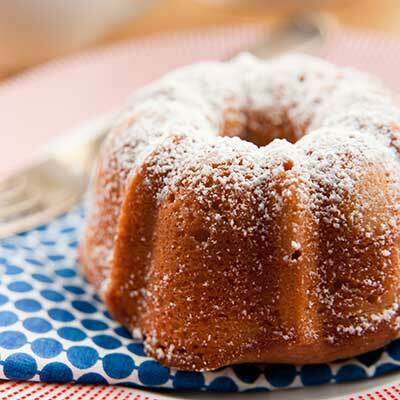 Grease an angel food or bundt cake pan. Bake at 350°F for 40-45 minutes or until done. Leave in pan for 5 minutes. Remove from pan and cool on rack. Dust with powdered sugar if you wish. “Favorite Recipes of California Winemakers” was published in the 1960s by the Wine Advisory Board of California.